This presentation was delivered in live webinar format by Kevin in 2014 and is part of Retirement Insight and Trends 1st Qtr 2015 issue. Kevin’s comments have been edited for clarity and length. 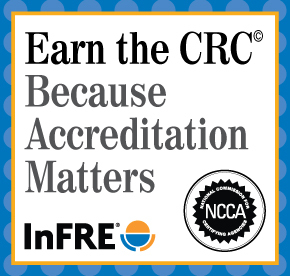 You may also choose to take the full length course, worth 1 CRC®, CFP®, ASPPA, and American College CE credit. What do they need to think about before making decisions? 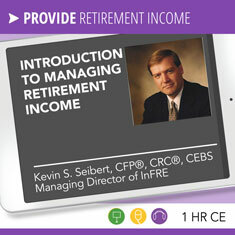 How can I help them convert retirement resources into income? 1. Longevity risks. The average life expectancy for somebody 65 today is about age 86. We all like to use averages for planning purposes, but the problem is that 50 percent of the people are going to live beyond the average. So, today when you’re thinking about how long we need to plan for retirement, I certainly think it’s appropriate to plan until age 95. Younger employees and clients may even need to be thinking about living to 100 and beyond, based on some of the research being done today. The problem with averages with planning is that it relates to groups of people. It doesn’t relate to individuals in terms of their own planning. I’m talking to you today from Chicago, where the average temperature over a 365-day year is about 56° F. So, if I got dressed every day based on the average temperature, I would be really hot on some days and really cold on others. Getting that average isn’t very helpful for planning purposes. So, as it relates to not only longevity risks, but also to other planning tools and rules of thumb, averages aren’t very helpful. 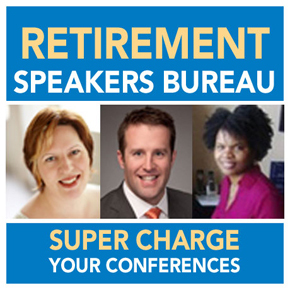 So, are there special concerns for women in terms of retirement planning? There’s an almost one in five chance that one of a couple will get to age 95, typically being the female. Forty-two percent of women age 65 and older are widows. Eighty percent of women die single compared to 80 percent of men who die married. The poverty rate for elderly women living alone is five times that for married, older women. Ultimately, you really need to look at this from having the perspective of three plans. The one that you would want if you were married is both of you live longer than expected. You’d have to have the plan if he dies first, which again is typically what happens, though it does not happen in every instance. In fact, both my parents’ and my grandparents’ case, it was that she died first. When one dies between a couple, it doesn’t necessarily cut the expenses in half, as you know, so you have to look at how things are going to change both from an income and an expense perspective. 2. Inflation risk. You may have used the rule of 72 before to show how long it might take your money to double at a particular interest rate. I like to use the rule of 72 to show the impact of inflation, and how long it takes expenses to double at a particular rate of inflation. When applying the rule of 72, 72 is divided by an assumed 4 percent rate of inflation in retirement, indicating that expenses are going to double every 18 years. For example, someone who thinks they want to retire at age 55 might be a long-term, public employee who has a pension plan. If they become eligible at 55, their expenses are only $50,000 a year and their pension by itself might provide that kind of income replacement. The problem is, however, if that pension doesn’t have a COLA, it won’t keep pace with their spending. Here is where their other assets have to supplement spending later on in retirement. Eighteen years later, those expenses double to $100,000 and for a young, spry 91-year old, those expenses again double 18 years later to $200,000. This is where it’s important for clients and employees to see the incremental impact of inflation over a thirty-year retirement because just like compounded interest, the longer you have interest working for you, the harder it works for you. In the same way, but conversely, the longer you have inflation working against you, the harder it works against you with the compounding effects of inflation. 3. Healthcare and long-term care risk. We all know that healthcare is certainly an issue in retirement today and makes it difficult for individuals to maintain their assets if they have a particularly long-term illness. You’ve seen all the statistics and dollar amounts for assisted-living, home-health care. An average long-term care, semi-private room today is $81,000 per year. In fact, for many, depending upon where they live and what kind of long-term care facility they may be living in, these expenses actually could be even higher. One way to manage the potential for long-term care illness is long-term care insurance. These products have gone under some changes over the last several years and there’s been some consolidation within the insurance industry, but looking at it as one way to manage long-term care risks. In this case, the costs range from a little over $1,000 a year at age 50 to $6,000 at age 79. 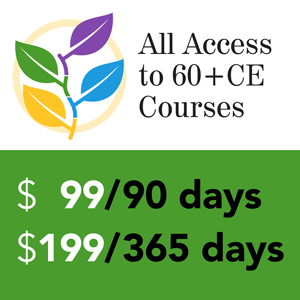 The decision becomes, do I pay less for more years, or more for less years? One problem is running the risk of not being insurable if you wait too long, since these are all individually underwritten even if it’s a group long-term care policy to an employer. Certainly, if you look at the cost of the long-term care average semi-private room at $81,000, one year in a long-term care facility would probably be more than the total premiums paid even if you paid those premiums for several years. So, that’s at least one way to manage that risk. Not everybody may need to overcome stock market reluctance. If somebody can be conservatively invested and make their plan work with inflation, everything else and health-care costs risks, that’s great, but that needs to again be addressed early on to understand what that rate of return expectation needs to be to make the plan work. Then there’s a holistic asset allocation approach that’s kind of an interesting approach to reluctance to risk. So, what do I mean by that? Let’s look at this slide. 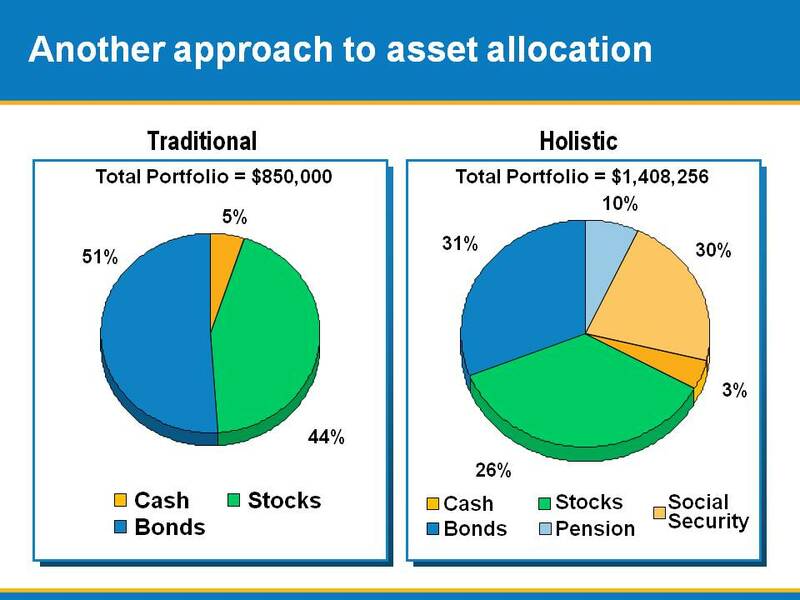 On the left hand side, a traditional asset allocation portfolio has $850,000 of investments assets: 51 percent is in bonds, 5 percent is in cash and 44 percent is in stocks. As you know, when somebody retires, there is often a little light switch that goes off in his or her head; where they may have been okay and content with 44 percent in the stock market the day before they retired, when that little switch goes off, all of a sudden they’re not comfortable with that because they don’t have a paycheck coming in and they know this money needs to last. All of a sudden, they’re thinking they may need to be more conservative, but in fact, to be able to reach their goals, they may need to stay somewhat close to that allocation, at least for some time. By using a holistic approach, what we could do is show the client or employee that if you’re not retired and have a small pension plan in addition to Social Security benefits, we can add the present value of those amounts in a lump sum to the portfolio. The portfolio now has gone from a $850,000 valuation to a little over $1,400,000. Thirty-one percent is in bonds, 10 percent is made up of the pension, 30 percent from Social Security, 3 percent in cash and 26 percent is in the stock market. Now, keep in mind that we never sold any stocks or stock mutual funds, but because the dollar amount is a percentage of a larger number, $1,400,000 now, the percentage allocation has been reduced from 44 percent to 26 percent. As far as declining interest rates are concerned, if you look at a $50,000 Treasury Bill back in 1981, the interest rate was almost 14 percent. Now, inflation was really high at the same time, but that $50,000 Treasury Bill produced income of $6,905 per year. There are people that retired back in 1981 that are still alive today, and if they reinvested that one year Treasury Bill every year, their income has gone down from $6,905 to $45 per year at today’s rates. So, that’s obviously a dramatic example, but it also points out the fact that we can’t only be concerned about stock market volatility, but also interest rates as well. Now to negative-point-in-time risk. If you invested $100,000, averaging 6 percent per year and you would withdrew 6 percent per year, what would your balance be at the end of 10 years? Well, many of you may already be aware that you need to look at this in a slightly different way, but how do you think your clients or employees would answer this question? Well, they’re thinking, “I’m going to make $6,000 on my $100,000 with my 6 percent interest rate, and if I withdrew my 6 percent or that $6,000 every year than I should have $100,000 after 10 years.” But the real answer depends on two factors: Are there any years where there were negative returns? And when did the losses occur? Again, the red flag in this question is the fact that the word “average” is used. Average is often times where we get tripped up. 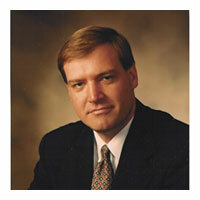 Over a ten year period of time, assume the client or employee had a -15 percent and a -10 percent in the first two years. To get the average 6 percent we were talking about, they’d have to get a highly unlikely 10.63 percent every year for the next eight years. If they still withdrew $6,000 each year per our example, the ending balance after 10 years is not going to be $100,000; it’s going to $71,567. On the other hand, if we just flip-flop when the negative returns happened, the -10 percent and the -15 percent happens in years nine and 10 respectively, instead of years one and two. As a result, it’s still a 6 percent average return, but at the end of the 10-year period, they actually have more than $100,000. So, the order of returns matters and to that point, it’s important that in the first five to 10 years, returns are actually monitored to see if potential adjustments need to be made. Many of you probably know individuals who did retire in 2008-2009 when the stock market was going down. What adjustments did they make? Many of them probably actually wound up going back to work because they experienced negative-point-in-time risk. It’s not something you can predict, it’s just something you need to be aware of and help people make adjustments as may or may not be necessary. How Prepared Are They for Retirement? If you’ve been reading articles on retirement income planning and the various strategies available, meeting essential needs with lifetime income sources such as Social Security, pensions and other sources is one of the strategies that is talked about. Essential expenses can vary depending on who you are. One man’s essential expenses may be another man’s discretionary. I think first and foremost, it’s important to come up with a plan to make sure that both essential expenses are taken care of. If there’s a gap between what Social Security and potential pension might provide, and what those essential expenses are, then other lifetime income sources come into play. 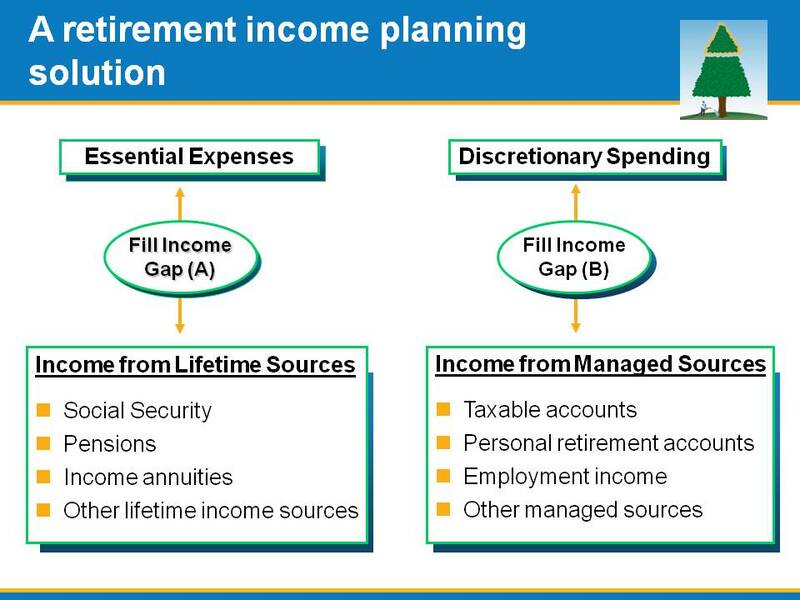 Then looking at discretionary spending, these are the lifestyle expenses that one has, and using the assets from managed accounts, IRAs, defined contribution plans and other sources, maybe even work for some time (part-time in retirement) can be used to meet those discretionary needs. Let’s say we filled gap A where essential expenses are covered by lifetime income sources, but we still have a gap B between what we have and what our discretionary expenses are. Then, the client or employee has an important decision to make, which is what’s more important: retirement itself, or their quality of life in retirement? The answer to that question is really going to help drive what they do next. You’ll see in the articles and the research that this essential and discretionary spending approach is touted as a mutually exclusive strategy. I don’t really look at it that way. I think it’s just a foundational way of helping an individual see who they should frame their retirement plan to come up with a lifetime spending plan. Ultimately, other strategies that we’ll be talking about, such as the 4 percent withdrawal plan, or other systematic withdrawal plans, buckets of money, using annuities and so on, are done within the context of this overall, foundational way of looking at creating a plan. So, let’s just take that idea and use a quick example to see if we can help an individual, at a high level, see where they are today. 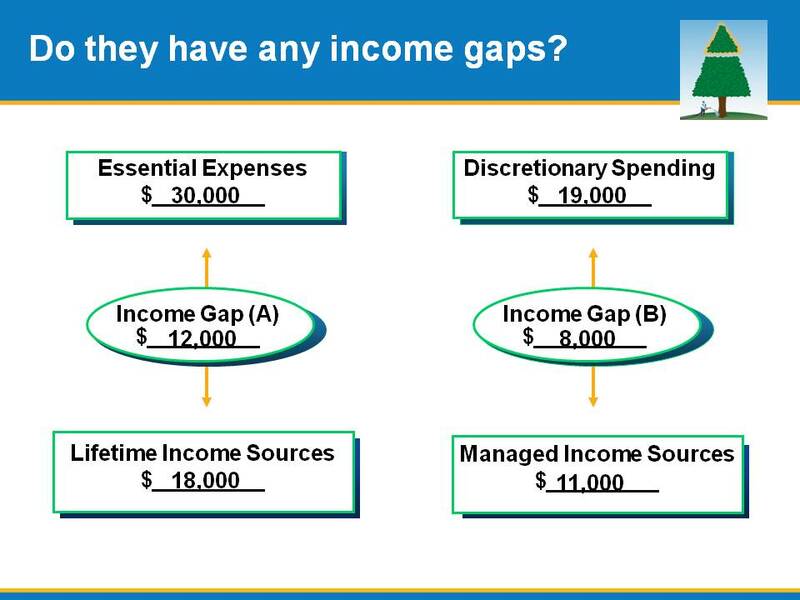 Say somebody that has essential expenses of $30,000, discretionary spending goals of $19,000, with the lifetime and managed resources respectively giving us a gap of $12,000 for gap A, and a gap B of $8,000. So, if you combine those two gaps, you’ll have a combined A and B gap of $20,000. A back-of-the-napkin calculation, that is not very sophisticated and would ultimately need to be taken to another level in terms of using software or other tools to do a more accurate estimate of how long the money needs to last, can be helpful when sitting down with somebody initially and looking at their situation to see where are we going to go. It assumes that in terms of their investable assets, they’re conservatively invested and the investment earnings are going to be equally offset by taxes and inflation. If they have less and it looks like they’re going to have trouble making that plan work, the fewer years savings might last indicated the need to use more options to fill those gaps. We’re going to be talking about those options in just a little bit. This is where the options come in for filling gaps. Again, going back to our model of essential versus discretionary spending needs and matching those up with lifetime and managed resources respectively and having our gaps, if there are gaps, or a gap, how are we going to fill those gaps? There are many ways to do that. I’m not going to go through each one of these in detail, but I do want to call out a few. Certainly, we all know that an annuity creates lifetime income, but there’s a big tradeoff in that if you’re not one of those that lives longer, you put a sizable lump sum in an insurance product and you don’t get you money back, which dilutes the size of your estate. There is another benefit to the annuity, however: You can get not only lifetime income, but you get more income per dollar annuitized than you can for a dollar invested. Next is postponing Social Security benefits and pensions. Often what happens is when somebody decides to take a Social Security benefit, it’s based on the fact that they’re eligible to be getting their Social Security benefit. They want to take it at age 62 because they’re concerned that Social Security isn’t going to be there down the road, they want to get their share and want to start that income so they can retire as soon as they can based on that income. But there are some of strategies for delaying benefits. If we are talking about spouses, there are combined strategies where one can take the benefit earlier, one can take it later. There can be a huge difference in total income that can be taken from Social Security over a 30 or greater year retirement. For example, they might collect $1.6 million in benefits if they both started at 62 versus $2.4 million if they both waited to age 70. It’s obviously a big differential. The last option I want to look is using home equity. It’s often overlooked, I think, in the early stages of retirement because it’s not something that’s invested in generating income. Imagine a scenario where a couple or an individual has a $500,000 home, wants to retire, but it’s a little iffy if they can make it last. Maybe the money’s only going to last into their late 80s, early 90s. Downsizing their home and moving into something a little bit smaller could free up $250,000 that can be used as income in retirement. That may be the additional cushion they need to retire today versus retiring two, or three, or four years from now. So ultimately, a combinations of options may be necessary. How Can I Convert Retirement Resources into Income? The ultimate goal is to create an integrated asset allocation in a traditional sense, and that’s something we’re going to call income allocation. Income allocation is how we look at those lifetime income sources to fill gap A, and managed income sources to fill gap B. Sometimes, you hear this referred to as product allocation. Going back to our essential and discretionary model, the ultimate decision that needs to be made, “How am I going to fill that gap A?” That’s first and foremost. It may be in some cases appropriate to use managed resources and keep them as managed resources to fill gap A. Others again may need to think about creating more lifetime income and again the primary product to be able to do that is with an annuity. With a systematic withdrawal plan or fixed dollar systematic withdrawal plan adjusted for inflation (SWP) on $100,000 and a 4.5 percent initial withdrawal rate, we would increase the dollar amount of income that we would take from our investable assets each year for inflation assuming 4 percent inflation. As many of you know, there have been lots of studies out there using historical data that show that an initial withdrawal rate of 4-5 percent, adjusted for inflation may be sustainable over a 30-40 year retirement. Now the key work in this is “may,” and because that word “may” is in there, it’s not a guarantee, and may not be the best plan. You will also see there are new studies coming out that indicate that based on current market conditions and expected returns going forward, that a 4-5 percent withdrawal rate may need to be more like 2½-3½ percent when you’re in a lower-return environment as we are now. 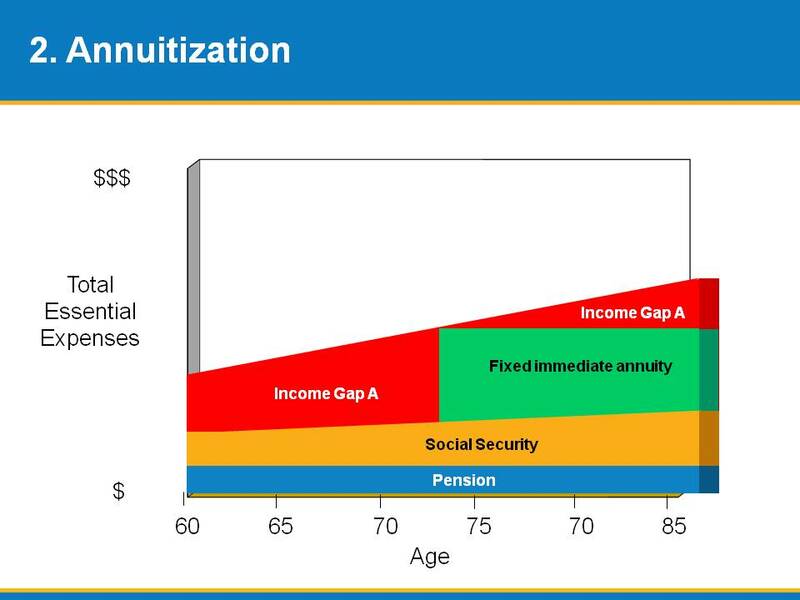 With annuitization, the idea again is to fill that gap A, so that is what this graph now represents. Over to the left, where the red is meeting the X-axis is what your essential expenses are. We’re going to use pension and Social Security to fill in some of that red, but we need to get the rest of the red out. At a certain point in time—could be early on, could be later, could be not just using one fixed annuity, could be laddering fixed annuities—there’s lots of ways that we could use annuities to fill that gap. Remember, with a systematic withdrawal plan only, you’re taking out 4.5 percent of assets, but with the combination approach, because you get more income for a dollar annuitized than for a dollar invested, you get more income for the dollars invested in the annuity than you would from the same amount in the systematic withdrawal plan; therefore, you need to take less out of the systematic withdrawal plan to get to your total targeted income. What’s the benefit of that? The result of that is that your savings should last longer because you started at a lower withdrawal rate/need to take less from managed assets. The last product that I want to talk about that also can play a part today in retirement income planning is something called deferred income annuities and longevity insurance. Essentially what they are is a lump sum payment that you give to the insurance company and that’s for a promise of guaranteed lifetime income but starting in the future, not starting immediately. So, at age 65, you could put in a lump sum of money that may not start producing income until age 85. This is lower cost than the traditional fixed or single premium annuity and allows the retiree to once again plan to a specific date. The problem with retirement income planning is that you are planning for an uncertain length of time. When you’re in the accumulation phase, you’re planning to a date, the date you retire. But once you retire, it’s impossible then to plan to a date because you don’t know exactly when you’re going to die. With these products, these deferred income annuities and longevity insurance, you can say I want to make sure my money’s going to last to age 85 and if I get to age 85 and I’ve still got some time, which hopefully we all do, then that’s where the income from these longevity insurance products that starts to kick in and pay off and allows you to get through that last phase. Considering what you’re investing and the ultimate income that can’t be reproduced, I think it’s a pretty cost effective way to plan. It is also interesting to note that DOL and the IRS have come out with recent regulations to make these products more easily used in defined contribution plans, and that would also lower required minimum distributions at age 70 1/2. I think you’re going to see a lot more on these longevity insurance products in the years to come.